It's no secret that I spend a lot of time in the kitchen. I love food and I love to eat, and best of all, I love to share my creations with my family, friends, and you! As much as I like being in the kitchen trying new recipes, since the start of this year I have taken on some new partnerships and find that I don't have as much free time these days to devote to my foodie passion. Kitchen shortcuts are my new bff, and I'll take any time saver that I can get. While I prefer to use fresh herbs and spices in my meals, the use of dried herbs has taken over. No, there's nothing wrong with using dried at all, but if I had to pick, I'd go with fresh every time. When I'm pressed for time, I don't need the stress of washing, drying, and chopping herbs when I just want to get the meal done and on the table as quickly as possible. That's why I am obsessed with Dorot Gardens Frozen Herbs. Get ready to have washed, chopped, peeled herbs ready to go as quick as a finger snap with no mess at all. Dorot Gardens provides an innovated alternative to fresh herbs. Pulled at peak freshness, Dorot Gardens processes and flash freezes their herbs within 90 minutes of harvest so you have the freshest of fresh herbs right at your fingertips whenever you want. 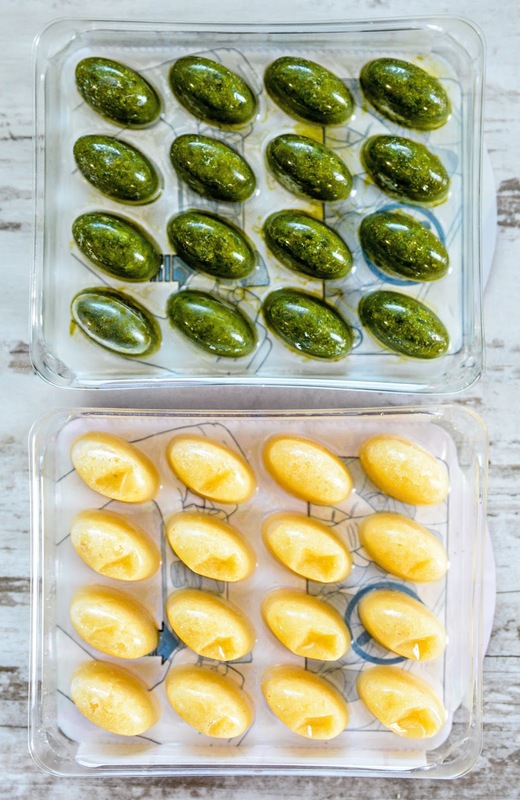 The convenient trays are packed with pre-washed, chopped and peeled herbs that you keep stored in your freezer, up to 2 years, so you can enjoy fresh garlic, onions, and herbs year round. Simply press on the back of the herb and it pops right into your dish while keeping the rest of the herbs sealed until ready for your next use for maximum freshness. Dorot Gardens is fairly new, but I was able to find them at my local Kroger store in the frozen vegetable aisle. 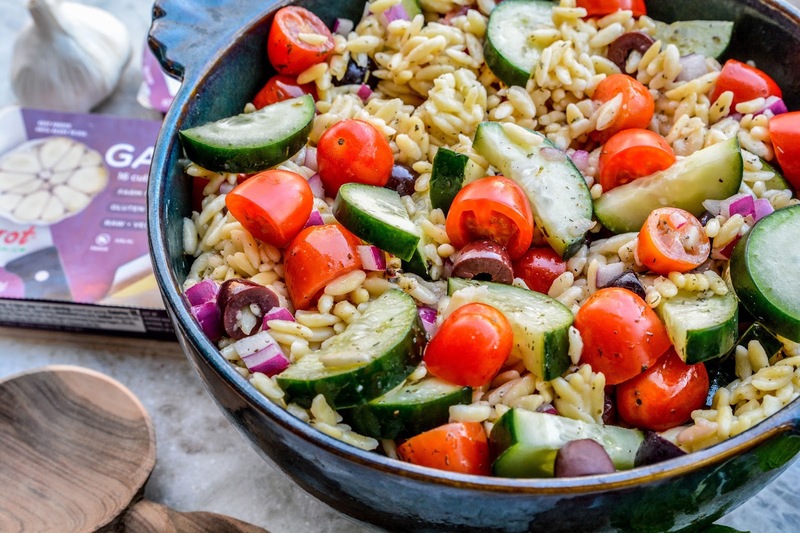 I put them to good use this weekend in my favorite Greek Orzo Salad. Cook pasta according to package directions. Drain and transfer to a large serving bowl. Add the cucumbers, tomatoes, onion, and olives. Stir. In a separate bowl, combine all of the vinaigrette ingredients. Whisk to combine. Pour vinaigrette over the pasta salad. Mix well, then serve. Thanks to using the Dorot Gardens Frozen Basil and Frozen Garlic, this is an under 30 minute meal. 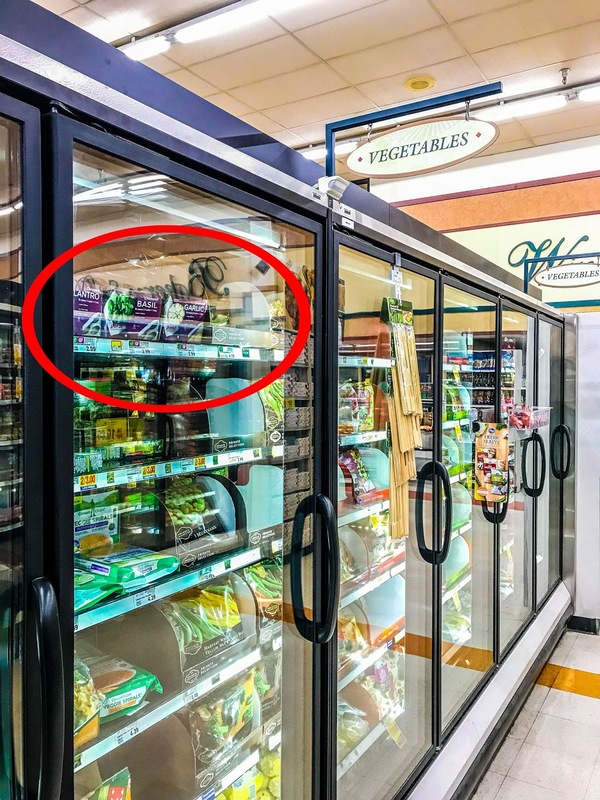 Be sure to look for Dorot Gardens in the freezer section at your local supermarket. 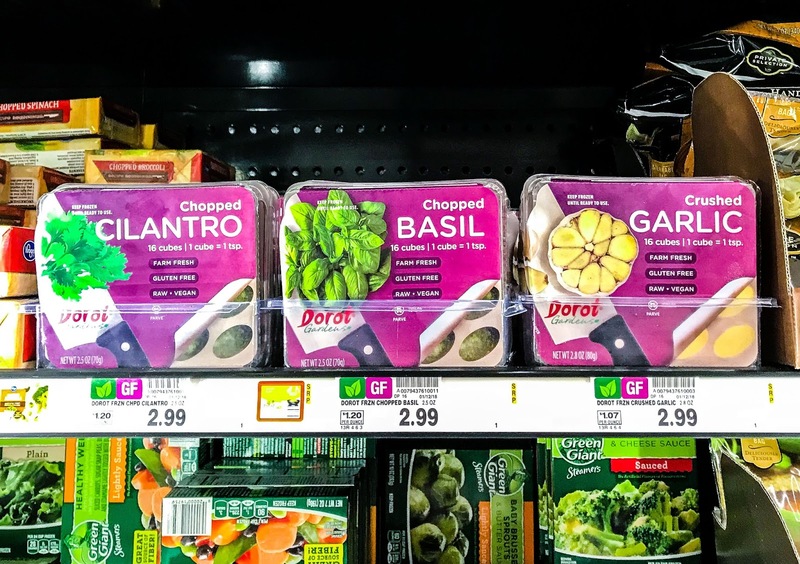 Be sure to stop by the Dorot Gardens website for more ways to use their frozen herbs, recipe ideas, and grab a printable coupon for $1 off your Dorot Gardens purchase! 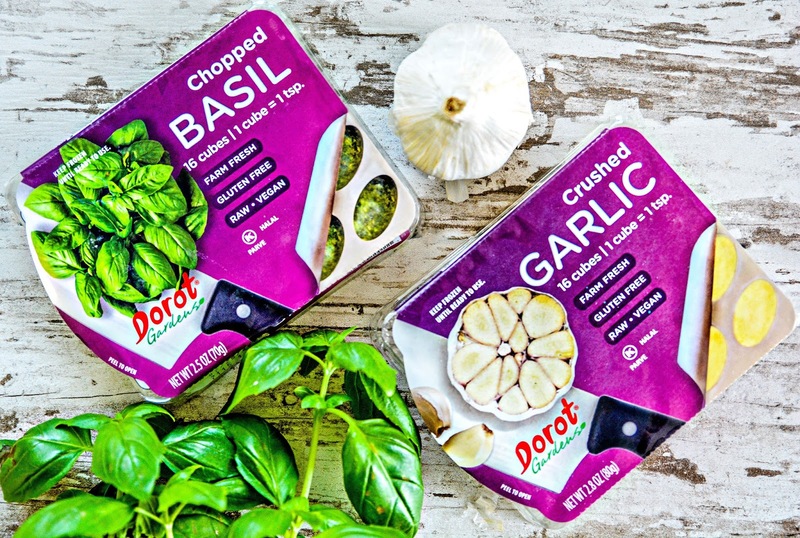 What dish would you use Dorot Gardens frozen herbs in? That's great that they get them from picked to frozen so fast indeed. Saving time is a real win. What's wrong with being a hippie dippie? It rhymes, so the cat is fine with it. Such lovely products, those green little eggs look like green heaven itself, I could stare at them for half an hour. I don't do basil, but I do love me garlic in everything! Hooray on the new video! I agree. I just can't do cilantro. Jason took me to an authentic Mexican restaurant last week and I couldn't figure out what I was hating about the burrito I got until I realized they put cilantro in it. Ewww. I love basil and put it in most of my Italian dishes. It's the first herb that I learned to really cook with. Garlic is always a winner here too. Don't even get me started on the video. I was up until 4am working on both of today's videos and remembered why I friggin hate them so much. I only do them if they are a campaign requirement. Otherwise, video creating won't be happening again here. I agree. Basil smells soooo good. Garlic, not so much, but I do love how it tastes. I would use them in any soups! I love the idea of putting herbs in cubes like that. I did that with tomato juice. My husband was just running the tomato juice down the sink. Then I said, "Stop! Let's put it in ice cube trays for winter soups." We've used it a lot in replace of chicken broth. It's good! love these and love potatoes and what amazing this display with basil. Now I have a lot but usually I dont have basil in winter and miss so much.